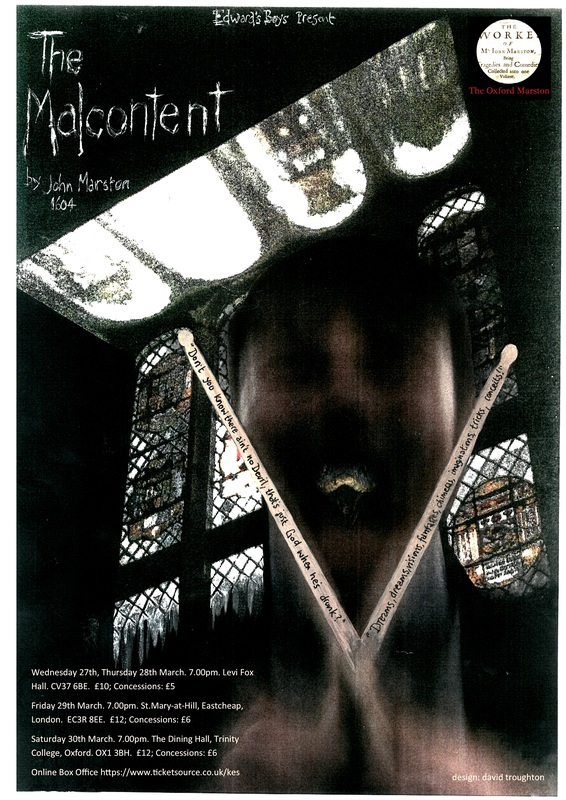 Tickets are now available for Edward’s Boys’ Production of The Malcontent by John Marston. Marston himself calls The Malcontent “asperam… thaliam”: a harsh or rough comedy; it is sometimes called a tragi-comedy. The rehearsal process has suggested a different emphasis, a comi-tragedy. It’s so savagely funny, but in an invasive, provocative, unsentimental way. Be warned: this will not be a comfortable evening. Tickets can be purchased here. Get them now – the Oxford performances have already sold out!